How Is This Year’s Grape Harvest Looking? Last week, Jessica Dupuy put together an informative roundup for Texas Monthly on this year’s grape harvest. Though some vineyards experienced excellent quantities (namely, Messina Hof’s Bryan vineyards and the William Chris vineyards in Hye), many wineries are reporting lower-than-hoped-for yields but excellent qualities. Be sure to click the link above to read the full roundup, to see what other prominent Texas wineries are forecasting. https://txwine2018.wpengine.com/wp-content/uploads/2017/07/Artboard-3.png 0 0 newadmin https://txwine2018.wpengine.com/wp-content/uploads/2017/07/Artboard-3.png newadmin2014-09-11 12:40:052014-09-11 12:40:05How Is This Year's Grape Harvest Looking? 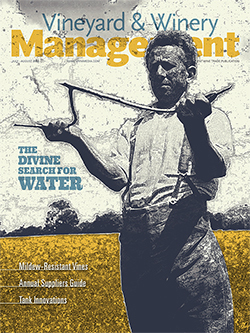 I recently read Tyler Colman’s End Post in the current issue of Vineyard & Winery Management titled A Critical Time. I find the topic discussed to be incredibly interesting, particularly because I review Texas wines and direct a panel of judges that evaluates and rates Texas wines on a pointed scale for the Texas Wine Journal. As I read the article, I find myself both in and out of agreement with several points. I agree that the sheer number of critics and magazines that rate wines is a bit overwhelming, but I also know that not all critic and magazine ratings are created equal (according to my palate), which helps narrow the field some. It should be no surprise that a 89 point wine in Decanter may be the equivalent of a 92 point wine in Wine Spectator; the system of rating is completely different. I’m a firm believer that the value and the objectivity of ratings starts with the system in which the ratings occur; and if there are not checks and balances, the ratings become subject to the opinions of a single person. This in its entirety is not a bad thing, but it is not an objective approach, even if the critic has extensive experience with the wines being tasted. The most that can be gained from the ratings of an individual is a deep understanding of the wine types and style preferences preferred by that individual. If the consumer has similar preferences, then it is a critic worth following. 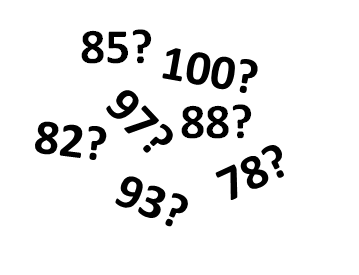 When you add more scrutiny to the process and then combine or average the scores, it makes it that much harder to achieve a 90+ point rating. Where this is a good thing is that with increased scrutiny comes a more comprehensive result. Based on ratings published on Wine-Searcher.com, the average ratings by each critic or magazine vary considerably. For example, Decanter‘s average rating (deduced by a three-judge panel) is a 16.6 (which converts to 83 points on a 100-point scale) while that of Wine Spectator and Wine Enthusiast is 88.3 and 88.0 respectively. If I’m to believe that there is a big difference between an 89 -point wine and 92-point wine, then surely I must think that a five-point spread between one critic and another is significant enough to warrant an investigation, or at least raise an eyebrow about which is more accurate, and by accurate, I mean objective. I also agree that the era of the hyped and inflated scores by what seems like celebrity critics is reaching a plateau, which might possibly (hopefully) lead to an eventual decline in their popularity, but I don’t see the two ever going away. I do believe that points have their place in the world of wine marketing. Points help guide and direct consumers and the trade, particularly for new wines, regions and producers that have yet to achieve the level of notoriety that other wines, regions and producers have garnered. Recognition is really what a rating system provides; in the case of Texas Wine Journal, producer insight is our primary objective and mission. Ratings have the added benefit of providing consumers a quick overall assessment of a wine when considering a new varietal, region or producer for the first time. Without a doubt, critics have molded the expectation of consumers and, to some extent, the trade, to believe that only good wines are 90+ points. But what about the 82-point wine that really might become your favorite wine? I would argue that instead of the point system fading away that we begin to pay more attention and place emphasis on how the ratings were carried out and their implication on the final score; because an 82-point wine rated within a system of checks and balances may just be equal to a 90+ point wine in a system without one.